ENVELOPE : Black Color Matt Finish 250 gsm Paper With Raised Gold Print. MAIN SCROLL BOX : Box Made From Black Color Matt Finish 250 gsm Paper. Main Card Has Tri-Fold Style. Nice Printed With Vintage Design with Emboss Effect. SCROLL : Scroll Made From Black Color Velvet Fabric With Gold Color Scroll Rods. Nicely Tied With Gold Color Tassel. 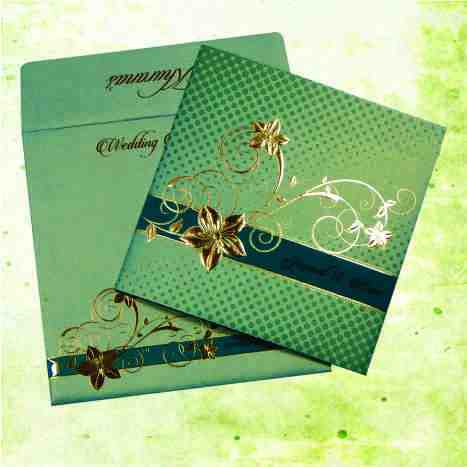 These wedding cards are sooo beautiful!!! I ordered this card for my wedding, but in white color instead. It is so pretty and all my family and my husband family love it and were so excited to give it to the guests! Very highly recommend!